Lisa Nicolls’ practice focuses on all aspects of general civil litigation with an emphasis on construction and business law, which includes the representation of contractors, subcontractors, developers, owners and design professionals. Lisa has been involved in numerous complex construction disputes and assisted in substantial trial preparation in defense of a contractor’s $20+ million claim on a large wastewater treatment plant project. She also assisted in the preparation and trial of a contractor’s $6+ million claim in the United States Court of Federal Claims, and has assisted in the prosecution and defense of numerous construction claims, both public and private, including mechanic’s lien, stop notice, and payment bond claims. Lisa also recently represented a national homebuilder in a complex $5+ million dispute in State Court involving enforcement of an infrastructure cost-sharing agreement and represented a developer against a national home-builder in State Court involving enforcement of an option agreement. Lisa received her B.S., with honors, in Neurobiology, Physiology, and Behavior, in 2000 and was awarded her J.D. in 2004 from the University of California, Davis. 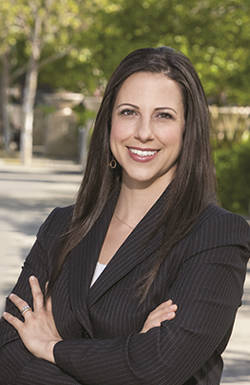 Lisa is listed in the 2013 through 2018 editions of Northern California Super Lawyers and in Sacramento Magazine's Top Lawyers List 2015 through 2019.